Before you create your power forward in NBA 2K17, you should decide what role you want to assume in the field. 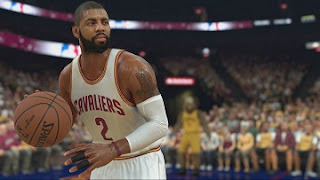 In NBA 2K17, the roles are clear and as power forward there are two archetypes particularly strong but very one-sided. In this guide we want to present two archetypes that something more fun and presence guarantee: the Glass Cleaner and Athletic finisher. As Glass Cleaner every rebound is yours - no argument. He help out in the defensive play by bring the rebounds or send opponent directly to a block home. Attacking reversed rebounds and scores with the second chance or score directly via Post or Dunk move. Stay tuned at approximately 2.10 m. You can also set 2.05 m, but this is something for experimental players. You can still have a little more weight on the ribs. As Glass Cleaner you are not fast enough for fast breaks, but a little more mass helps you significantly thereby keep the opponent away from the basket or to fight your post piece by piece to the ring. - Rebounds, dunks and layups, agility. - Middle distance, post scoring, shot off the dribble. Pay attention to the 3-second rule, and stay as often as possible in the zone. After some experience and skills in the post, you can take good shots from the near or middle distance. Primarily you should calmly and deliberately bring the rebounds. Your size and rebound attribute provide you good services, but most importantly is to maintain your timing. Lob City. If you have a good passer on your side, you can choose to have you on many highlight plays. Alley Oops and Fastbreak Dunks are your daily bread. But we did not mention Blake Griffin, unless you simply could get into any situation spontaneously in the air and could fly over other players. As Athletic finisher your Rebounding is not outstanding, but still quite good. Even with this player you should definitely not focus too much on throws, but go into the zone and occasionally use you agility to "pluck" opponents to block their attacks. Here only 2.10 recommend. Similar to the Glass Cleaner you have to decide which attributes you want to push with your body size. Become bigger and your dunk gets better, but it takes more time to really reach the basket. Your defender can catch up with you faster, but he also has a little less opportunities. Therefore, 2.05 for more speed and 2.10 as safe Instance for Dunker. Decide for an average weight or alternatively even for a fairly lightweight player. But keep in mind that additional speed by little weight weakness can be contacted dunks. - Throwing off the dribble, defense, rebounding. - Strength, middle distance, post scoring. Support the Center on the defense in your team, especially when fast attacker takes over and lying a few blocks. You are fast enough to play along and defend the zone. However, your strength lies on the offensive. Surprise the opponent with quick, explosive Fastbreak points, while the opposing zone organizes. Otherwise, he gets the ball and jumps in the zone in the Dunk or dancing your opponents just before the basket in the 1 on 1.